What You Should Eat and Drink for A Healthy Life!! iCliniq › Ask a doctor online › Health Articles › Exercises › What You Should Eat and Drink for A Healthy Life!! Everyone wants a healthy life and strong body that may fight with infections and wear and tear phenomenon of life as age advances. Diet and nutrition is the vital part of our daily life. When we eat healthy, we definitely get our teeth and bones strengthened and the risks of diseases that make our bony skeleton weaker and more prone to fracture, decreases to a great extent. There are many sources of getting the essential nutrients necessary for our body. Some are taken from diet and some are made by our own body. 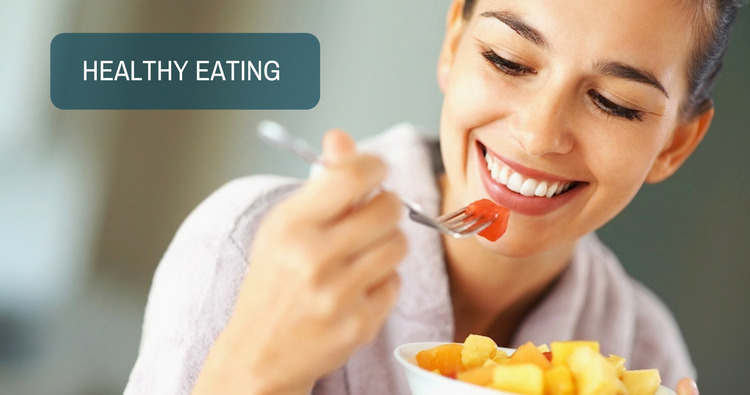 A nice approach towards healthy life is to keep some vital nutrients on top of our minds when planning daily diet charts. Fish, calcium fortified foods, waffle, mineral water, animal source milk, yogurt, cheese, fresh brown breads, breakfast cereals of a good brand, properly cooked rice, almonds and other nuts and beans, salads, green leafy fresh vegetables like spinach and juices (for example: fresh orange juice), all provide calcium to the body. Better is to rinse and properly wash the fresh available fruits and make juices at home. Adults should take almost 990 mg/day of calcium. Females (more than 45 years) and males (more than 65 years) may need 220 mg/day more than usual. We need calcium on daily basis in our diet as there is no metabolic pathway inside the human body which may be able to manufacture body's own calcium. What does the reports of tests taken for fever, cold, and weakness explain? Regarding calcium one should remember that it is always best to grab from natural diet source. But if not enough, or if you have a disease named hypocalcaemia (low level of serum calcium) or if you are suffering from thyroid/ parathyroid gland disease or gastrointestinal disease hindering absorption processes, your treating physician may prescribe you with some supplemental calcium that may best suit your bodily needs according to the deficiency you have. (B) Do you need something else in diet, other than getting enough calcium? Vitamin D is necessary to get calcium absorbed through our gastrointestinal tract's absorption system. We need vitamin D for our daily life activities. We need at least 420-820 IU of vitamin D/day. As we get older, we need more of vitamin D and for every 10 years of age, an increment of 10 IU/day of vitamin D than usual recommended dosage is needed. Unlike calcium, our body is self sufficient in making its own vitamin D from sunlight, when our skin is exposed to sunlight. So, we have a factory of vitamin D that starts from our skin and gets to the final assembly in the kidneys. People with kidney disease may need vitamin D as a supplement according to the guidance of the treating physician. Unnecessary exposure to the outside in direct sunlight may cause sunburns and even certain cancers of the skin. So, use sunscreens and wear sunglasses when on outside chores for longer time periods. We always need proteins in a good amount to strengthen the normal bones in our skeletal system. Almost everything in our body is made up of proteins. We need almost 60 mg/day of dietary proteins that you may grab from eggs, fish, meat, chicken, vegetables like beans, milk and yogurt. Spinach and beans being good sources of magnesium and potassium slow down the loss of bony skeleton thus improving our overall health and strength of the body. Citrus fruits contain good amounts of vitamin C. Carrots are rich in vitamin A. Meat, eggs, vegetables, dry fruits all contain these minerals and vitamins in abundance. Needed in trace amounts, zinc is also good for health. Children need it for proper body height and it also improves wound healing process in humans. Muscles, bones, eyes, male and female sexual health depend on zinc as a vital trace element. Erectile dysfunction patients may also get benefits from zinc and it is in practice. Too much meat (high amounts of proteins) may make the bones and teeth weaker in addition to overwhelming the excretory processes of the kidneys as it produces the organic acids and kidneys have to excrete all that acid. Alcohol (binge drinking) may cause an early bone and teeth loss. Alcohol drinking (1 to 2 glasses a day) leads to significantly high risk of certain types of cancers. Coffee, chocolates and tea when taken too much may cause damages in the same way as high proteins and alcohol do. Do not overcook your food. It denatures proteins and causes loss of vitamins and essential nutrients from the food. Undercooked food may cause indigestion especially when it comes to the animal products. Fluoride is needed for the teeth to prevent them from easy decay. Use fluoride containing toothpastes and apply fluoride directly on the teeth of babies starting from 9 months of age. Wipe baby's teeth with a sterile gauze piece after every time you feed the baby. Your baby's pediatrician may guide you about it. Dental flossing (every tooth, every day) and brushing the teeth twice daily is necessary to save your teeth from dental diseases. Proper physical activity right from the start of your life, leads to stronger bones, great health and superb quality of life. Sedentary lifestyle is the mother of all diseases. Diabetes and insulin insensitivity is due to obesity. Central/ truncal obesity is the worst form. Body Mass Index (BMI) is the tool to keep your weight, waist circumference and body fat percentage in check. Daily 10,000 steps at a healthy pace (jogging or brisk walking) is necessary at least 3 times a week for healthy heart and blood vessels and overall health. Fast foods, soft and energy drinks, spicy and fried foods are a major cause for a lot of modern era diseases. Take plenty of water, fruits and whole grains. Dietary fiber is a must for us. Coconut water has abundant dietary fiber in it. Cigarette smoking is the most injurious addictive habit one may ever have. It is associated with many diseases including cancers. Never take any medication by yourself. Even a very commonly used drug may be a poison for you. Aspirin and Paracetamol toxicity have taken many lives. Even Omeprazole is not harmless to human health, It may cause pneumonia, fractures, and increases chances of certain types of infections. Your physician is the person who is trained to prescribe for you the safe and appropriate drugs. Do you have a question on Exercises or Calcium Deficiency?